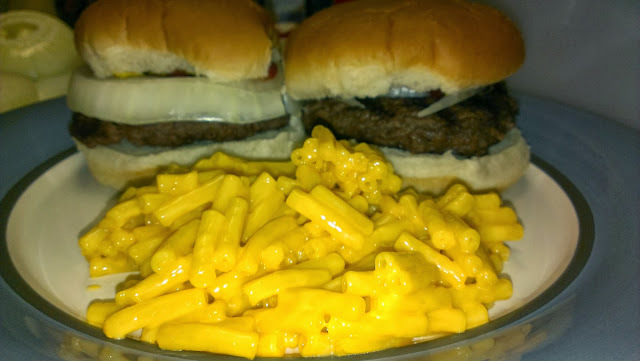 A yummy, cheap go to dinner - hamburgers and Kraft mac-n-cheese! 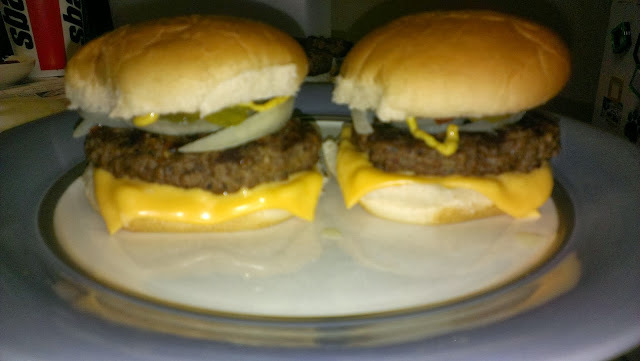 We used a pound of, I believe, 80, 20 ground meat that made 4 nice and juicy burgers and a box of mac-n-cheese. 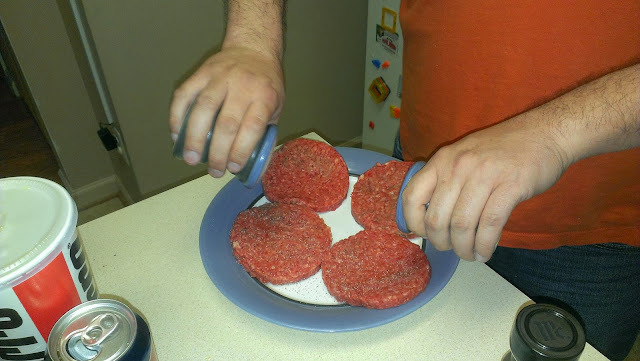 When making hamburgers, you want to go with the fattier meat so it won't dry out while cooking it. Oh, and don't press down on the meat while cooking. That will cause all the juices to come out and you don't want that. 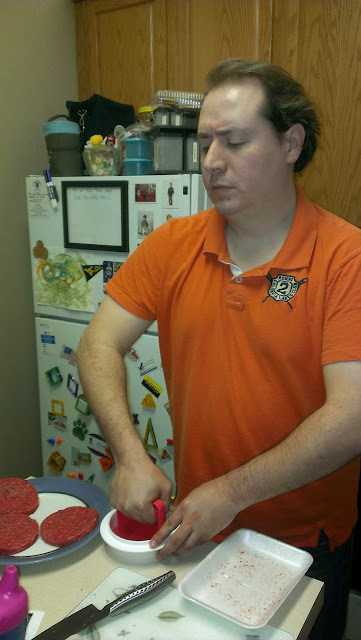 Jon making the patties with the awesome hamburger presser from Tupperware. 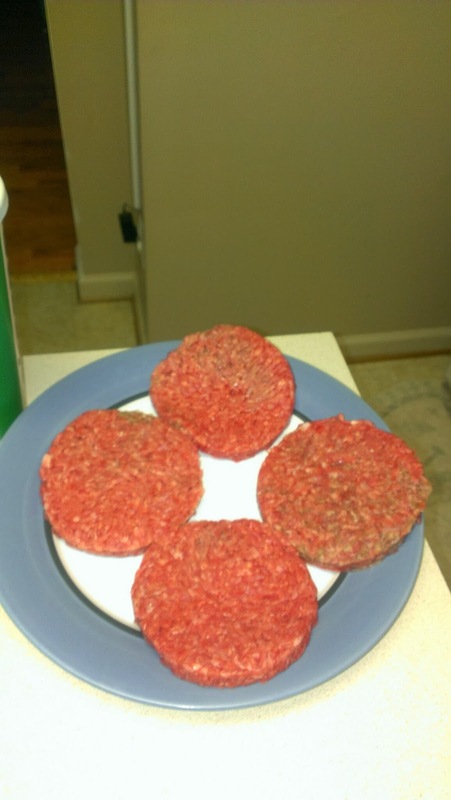 The 4 patties that we made from our pound of meat! 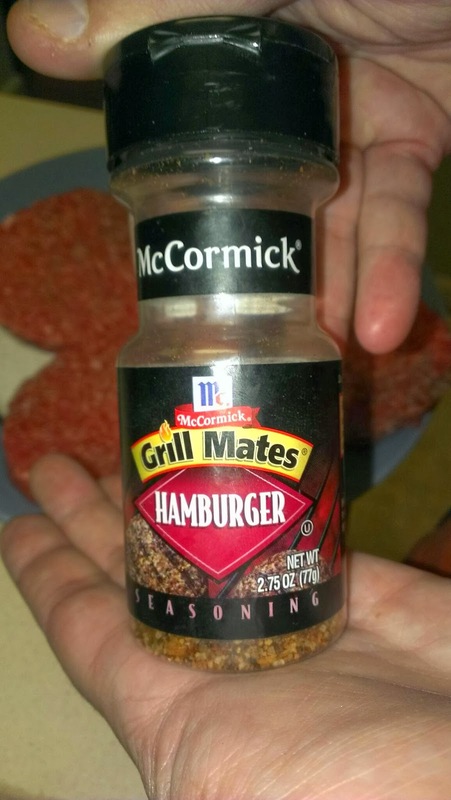 I used to like having my burgers seasoned with garlic salt, but after watching lots of Food Network shows I think burgers taste so much better with just salt and pepper. Always season your meat! 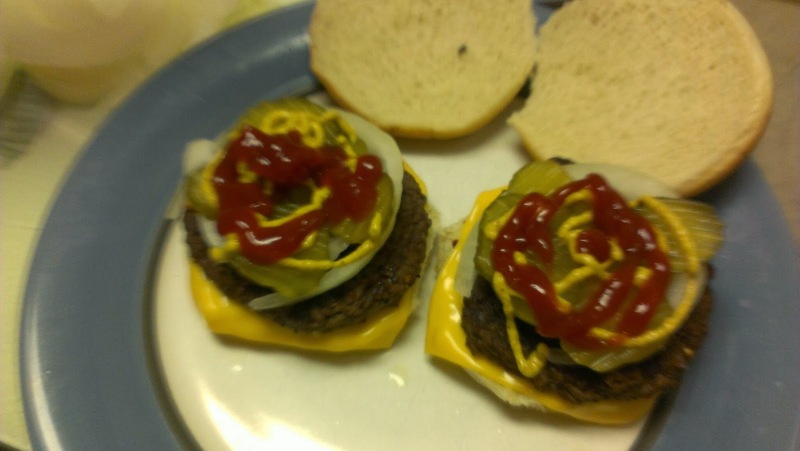 Jon added some cheese to his burgers. He put it in the microwave for a few seconds to get the cheese to melt. 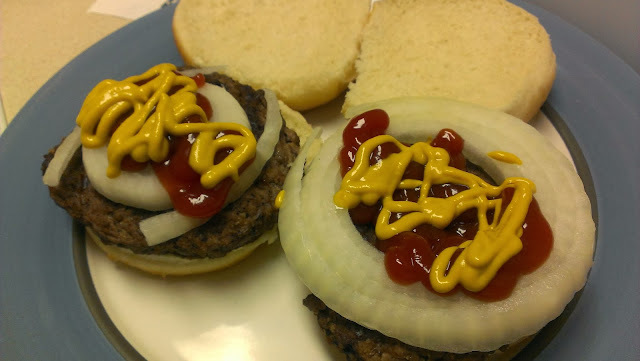 My burgers are simple; lots of onions, ketchup, and mustard! While Jon was making the burgers, I was making the mac-n-cheese. Since I've grown up on Kraft mac-n-cheese and have made it for years, I know how to make it by heart and without looking at the box. I think this night, I also starting showing Michael the art of making one of his favorite foods! I know that this meal cost less than $10 to make and it fed two adults and a toddler. It really didn't take that long to make either. Less than 20 minutes. So, there you have it. A yummy meal that's even better than McDonald's or Burger King for half the price!